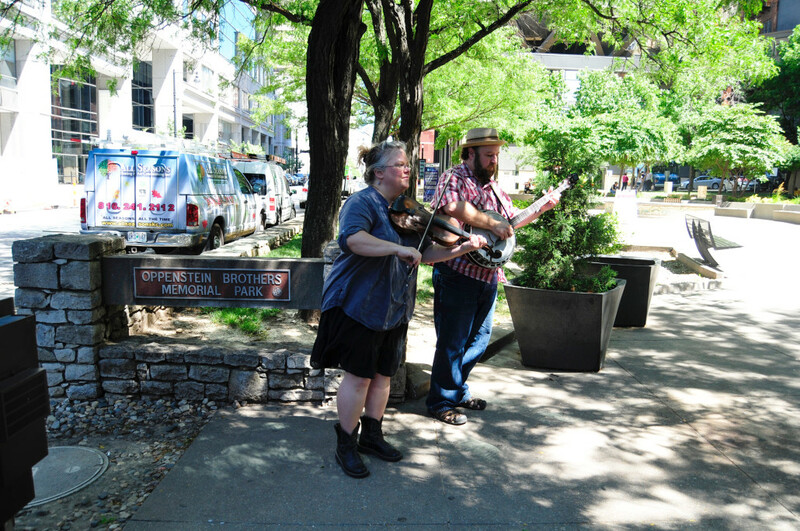 Musical adventurers Betse & Clarke will present historical and modern songs about transportation inspired by the new KC Streetcar. 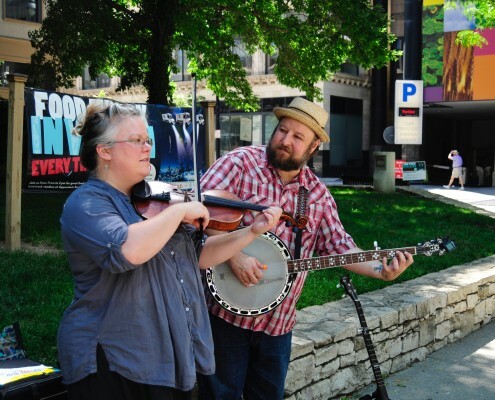 Performing on fiddle and banjo, the duo will create a connection between past and present. 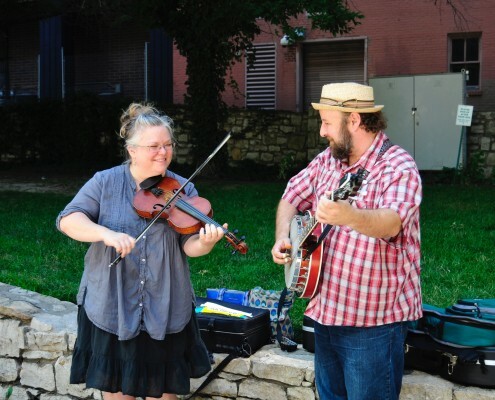 The audience will find themselves drawn in by the duo’s engaging nature and will be exposed to music they’ve never heard alongside classic songs or tunes, perhaps from their childhood, or something they’ve heard on local radio. 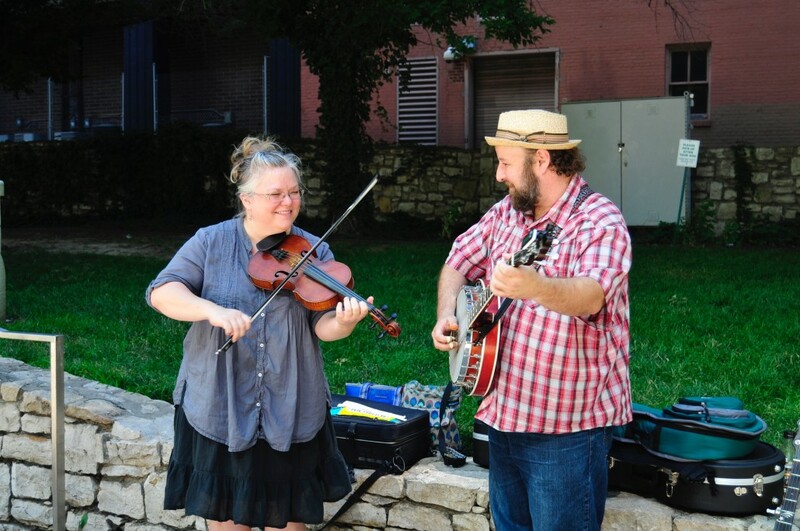 “Freight train, freight train, going so fast…” Now hang on, here comes a fiddle tune called “Kansas City Railroad Blues”! 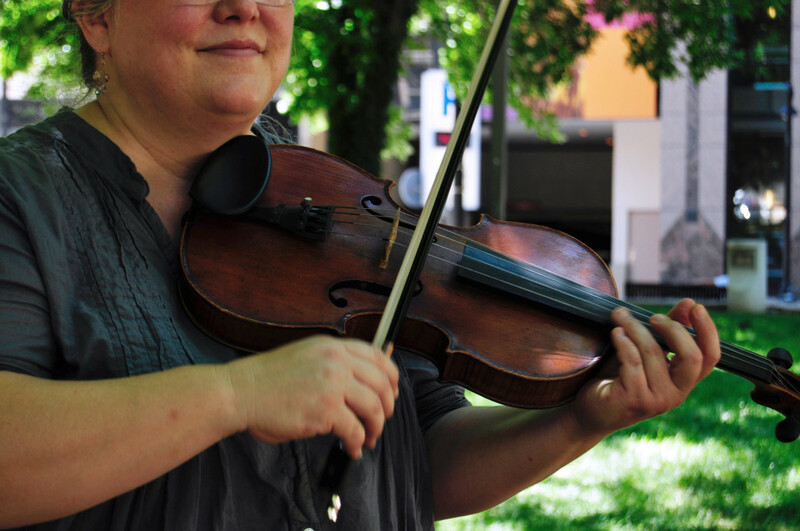 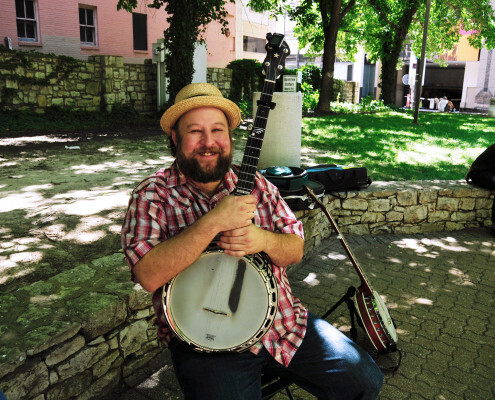 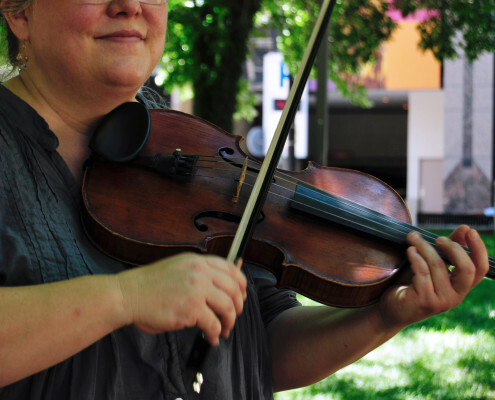 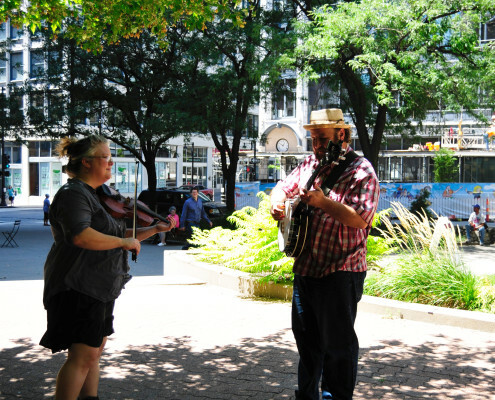 The community characteristic of old time music will encourage conversation and participation. 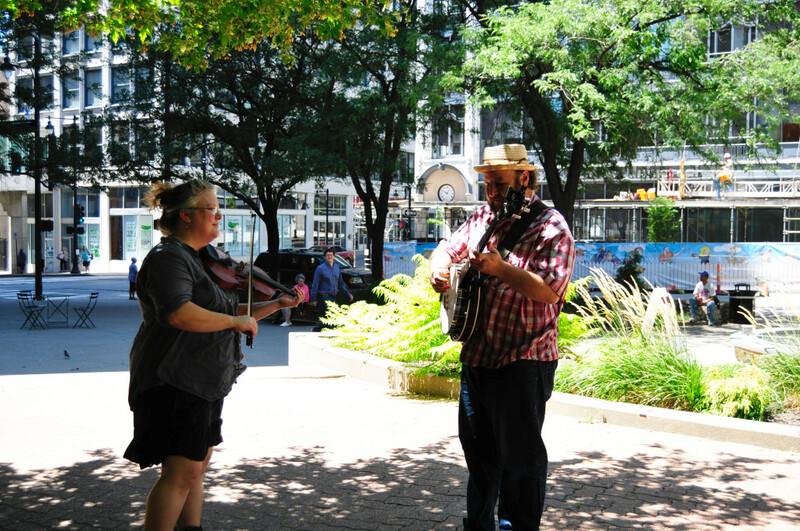 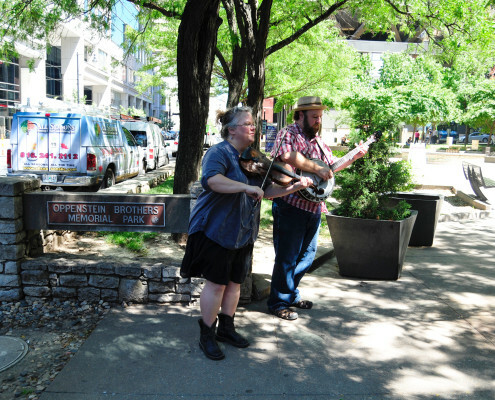 Betse & Clarke will perform their folk duo on Thursday, July 21, from 11:30 to 1:30 in Oppenstein Park located at 12th and Walnut. 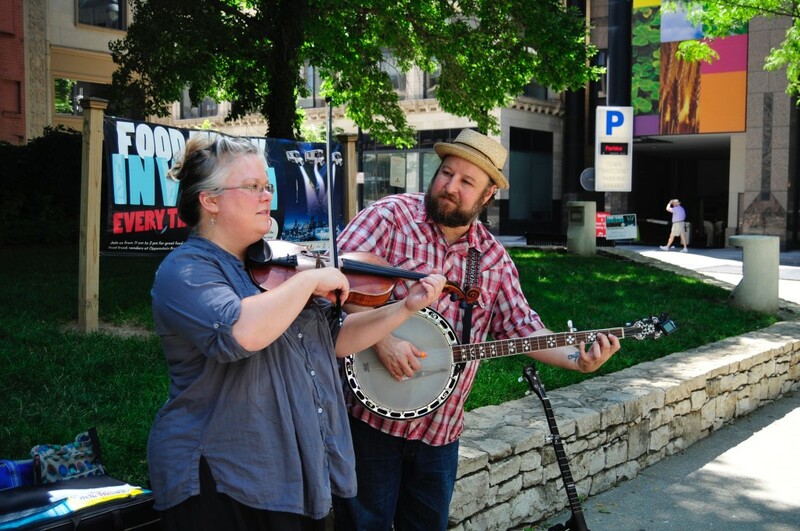 BETSE & CLARKE: Their music is familiar… and totally different; a fiddle and banjo duo with a sense of adventure. 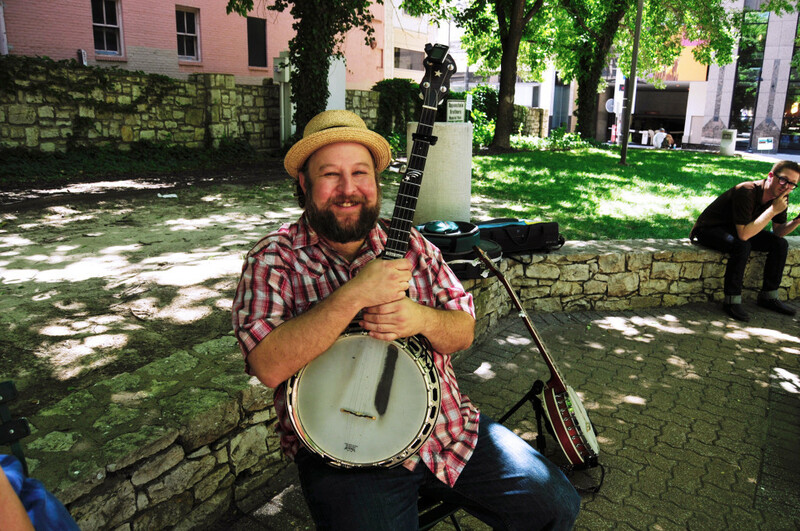 Old time music and song celebrated alongside inventive new compositions: a passion for the depth of tradition and a look to the future of folk.